It’s not actually quite finished; work crews are still putting on the final touches, but over the last few weeks I have been walking through renovated Love Park on my way to work every morning. It’s one of the best parts of my day. I get off the El at City Hall, dash up the shallow risers of the bright, glassy head house of the station and emerge into the splendor of Dilworth Park. And now, I continue my morning commute through the nearly completed Love Park – a perfect progression of beautiful urban spaces that serve as both gateway and gathering places in the heart of downtown. Entering the city through Dilworth Park and Love Park is like a gift that I look forward to receiving each day. Old Love Park was a bit of an obstacle course – cluttered and cramped with furnishings, walls, and multiple park levels, which to a degree disguised how big a place the park actually is. Through the renovation, the park has been flattened and smoothed out, revealing its truly spacious footprint. The new, more open Love Park cleaves open the city, pushing back the canyon walls of Center City, unveiling the unparalleled urban vista of the Parkway and the Art Museum in the distance. You can breathe in this space. Although we are deep in winter now, I can already see children running through the fountain, families sprawled out on its generous green lawn, and people like me passing through, heads swiveling to take it all in. Our hope is that Love Park will become yet another great public space for Philadelphia – like its neighbor Dilworth Park - where Philadelphians of every background and generation can come together, engage and learn from each other and become part of civic life of the city. 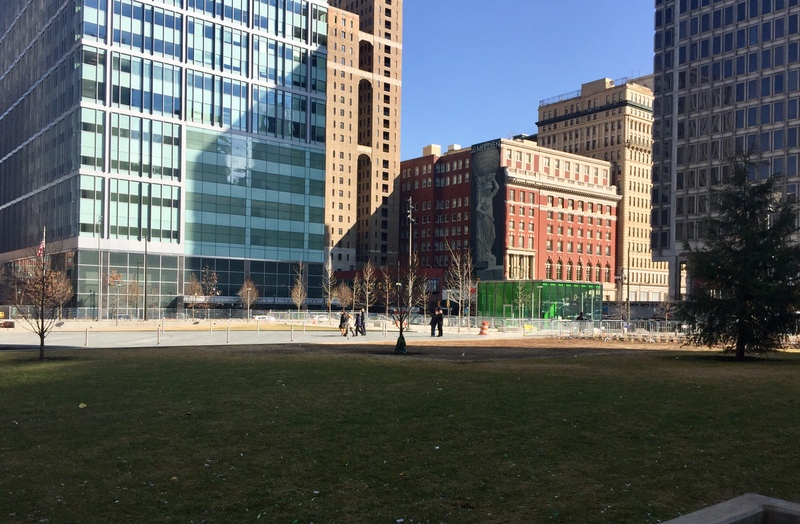 I feel free to rhapsodize about Love Park because – unlike many other public space improvements in Philadelphia – the William Penn Foundation had very little to do with it. While we provided a modest amount of funding to support early community engagement, the renovation of Love Park is strictly a city-led effort and is a clear demonstration of what smart and strong public leadership can accomplish. But regardless of authorship our hope is that Love Park will become yet another great public space for Philadelphia – like its neighbor Dilworth Park - where Philadelphians of every background and generation can come together, engage and learn from each other and become part of civic life of the city. Center City is fortunate to have so many great public spaces. The work of the city – through efforts like “Rebuilding Community Infrastructure” and the Free Library’s “Building Inspiration: 21st Century Libraries Initiative” – is to expand access to great public spaces across the city as gateways and gathering places for neighborhoods throughout Philadelphia. High quality public spaces - parks, playgrounds, libraries, and recreation centers - in every corner of the city that welcome everyone are key ingredients in making Philadelphia a great American city.